Jason Somerville is a professional poker player and the host of the daily stream RunItUP on Twitch. Find his poker biography & videos here. Jason Somerville is an American born professional poker player and the host of a stream on Twitch called Run It UP. Jason Somerville was born in Long Island, New York and is a part of the “Moneymaker generation” of players, who saw what an amateur player could do and decided to take up poker. In contrast to many players, though, he never deposited and instead won a freeroll and built his bankroll from there. By the age of twenty, he had turned that initial win into a six-figure bankroll, at which point poker took over his life while still attending college. During classes, he would download poker clients and play, instead of focusing on lectures. After changing majors, he soon realized that he had a future in poker, rather than in studying. Since the age of twenty-one, Somerville has played the WSOP each year, winning one bracelet in the $1,000 NLHE event in 2011 and gathering twenty “in the money” finishes as of 2015. He also has four cash finishes in the World Poker Tour, where was named on their “Ones To Watch” list in 2012, and two in the European Poker Tour. Online he has over 250 cash finishes in tournaments, accounting for $2.2 million of his $6 million in total winnings. After Black Friday, however, he took a break from online play and focused more on the live tournaments across the world. He came out as gay in a blog post on his website on Valentine’s Day 2012. To date, he is the only openly gay high-stakes player in the poker world. He anticipated at least some backlash, but says he was welcomed openly and has received a great deal of support from fellow players and the media alike. From 2013-2014, Jason Somerville was signed on as a team pro for Ultimate Poker, a new online venture operating in the United States. This partnership spawned his video series called Run It Up, where he provided interviews and commentary on play alongside fellow pros like Danielle Anderson, Scott Seiver, and Antonio Esfandiari. Producing these videos helped him make the decision to continue pursuing a career in poker after growing tired of the daily grind that he had been doing since the age of 18. According to Somerville, he decided that he could be much happier making videos and playing poker for fun, instead of playing as many hands as possible for the sake of making money. In early 2015, he signed on to Team Pro Online with PokerStars, moved to Toronto, and began streaming his play live on Twitch, where he began gathering a much larger following. That following brought him an average of 25,000 viewers during several WCOOP events in the fall of 2015. He also hosted a series of tournaments, seminars, and cash games in Reno, Nevada as a part of Run It UP Reno. Jason plays on PokerStars under the name JCarverPoker. Andrew Neeme VLOG: The Biggest Poker Festival in the World! Ben Deach VLOG: Ep 02 - With JCarver & Pokerstaples! PokerStars Blog has, in fact, yet to announce the release date, or confirm the announcement at this point. Should Big Winning Poker Pros Still Ask for Donations on Twitch? 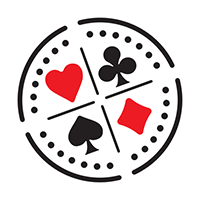 Enter the virtual blackjack world of Chance ‘sodapoppin’ Morris and prepare to be amazed..! Somerville and Veldhuis Agree on Ultimate Sweat Prop Bet! Jason Somerville and Lex Veldhuis have taken up the spirit of the Ultimate Sweat prop bet and run with it in a new direction.